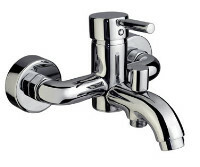 We are experienced in carrying out any plumbing requirement from replacing taps to completely re-plumbing any property from scratch. Whatever your plumbing requirements, installing power shower pumps or mains pressurised hot water tanks to dramatically improving your hot water pressure throughout the house. We can also fit water softeners or de-scalers/filtration units.